The result of the international financial crisis of 2008 is plainly evident. The world’s financial elite perpetrated a grand profit-making scheme which, through its eventual collapse, caused a serious economic downturn that undermined middle class prosperity and robbed individual nation-states of the tax revenues necessary to maintain egalitarian society. Some assert it was deliberately planned. Some claim it was triggered by a combination of reckless greed and irresponsible oversight. Others insist it occurred as a natural result of capitalism, which they see as fundamentally flawed. Regardless, the end result was the same. Now Tell Us How You Really Feel!!! Source: Now Tell Us How You Really Feel!!! mstmha’s reference to the Lynch Letter is as relevant today as ever. The advice to pitch the young against the old, and men against women – ring any bells? When I was a teenager in the San Francisco Bay area, The Free Huey movement captured the attention of many young Americans like myself who were disillusioned by the Vietnam War, racial injustice, and an increasingly authoritarian political establishment. First JFK was assassinated, then Malcolm X, then Martin Luther King Jr., and then Robert F. Kennedy. All of these men had one thing in common, they each – in their own way – attempted to change America to be a more just and equitable nation. But, those with vested interests in keeping America unjust and inequitable resisted – often using clandestine and brutal means. If you don’t believe these four assassinations – and many more – were connected at some level, you obviously weren’t there. I was, and that connection forever defined America from the 1960s onwards. In one way or another, this is the oldest story in our country’s history: the struggle to determine whether “we, the people” is a metaphysical reality – one nation, indivisible – or merely a charade masquerading as piety and manipulated by the powerful and privileged to sustain their own way of life at the expense of others. Undercover. 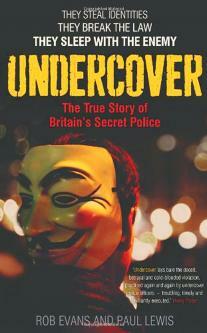 The True Story of Britain’s Political Police. Rob Evans and Paul Lewis. Review. Undercover. The True Story of Britain’s Political Police. Rob Evans and Paul Lewis. Faber & Faber 2013. Many of the reported 8,931 political campaigners on the “national data base of political extremists” took a keen interest in the publication of Undercover. Some police infiltrators had already been publicly unmasked. Mark Kennedy – “Stone” – has been fingered by Indymedia in 2010. ‘Progressive academic’ and advocate of a dialogue with Islamists, Bob Lambert, was confronted with his spy chief past at a conference to “celebrate diversity, defend multiculturalism, oppose Islamophobia and racism” in October 2011. Suddenly people on the left, and other campaigners, were reminded of the existence of intense police surveillance on our political activity. 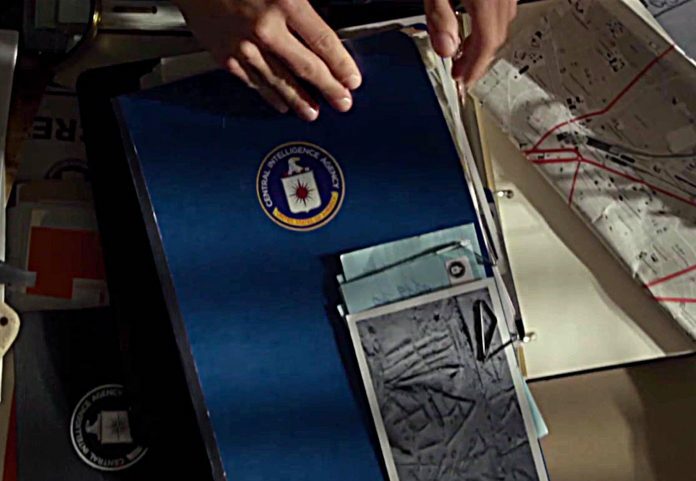 Tens of thousands of secret CIA files were made public after years of wrangling. These include more than 12,000 documents about the Stargate program, a research into remote viewing, which the intelligence service secretly conducted. In the early seventies, the CIA supported a program to examine a form of extrasensory perception called remote viewing utility could be useful for intelligence gathering. US military intelligence service DIA labeled this program the Stargate. They tried to figure out what other countries did on clairvoyance. In addition, research was done to clairvoyance and psychics were used by the government. The Psychics were educated on remote viewing, precognition (seeing the future) and telepathy. They had to include information on targets that could not be approached in a conventional manner.